Here are 10 great benefits that Rewards-based crowdfunding offers an entrepreneur. 1) It provides access to capital. At an early stage, an entrepreneur may think that outside of their own network they can only raise capital from accredited investors, venture capitalists, and banks. This isn’t true. Crowdfunding is a great alternative way to fund a venture, and it can be done without giving up equity or accumulating debt. 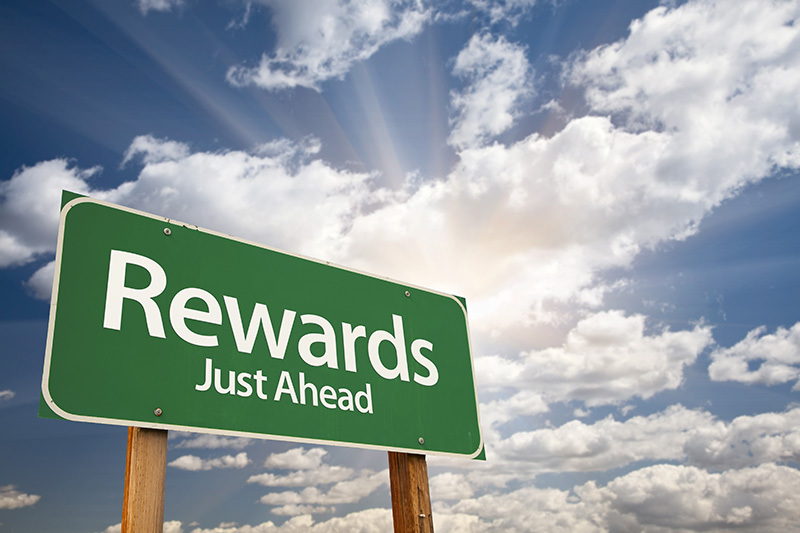 Rewards-based crowdfunding platforms allow entrepreneurs to raise funds from the community in exchange for simply giving their tangible products or other relative gifts. Starting up a company is a very risky and challenging journey. Besides finding sufficient funding, there are always expenses that are impossible to forecast, challenges in market validation, and other people who want a piece of your venture in order to help get it off the ground. Launching a crowdfunding campaign hedges these risks and serves as a valuable learning experience. Crowdfunding as it is today allows an entrepreneur to gain market validation and avoid giving up equity before going all out and taking a product concept to market. An active crowdfunding campaign is a good way to introduce a venture’s overall mission and vision to the market, as it is a free and easy way to reach numerous channels. Many crowdfunding platforms incorporate social media mechanisms, making it painless to get referral traffic to your website and other social media pages. Typically, this allows ventures to receive thousands of organic visits from unique users and potential funders. These users are also important for viral marketing, as they have the ability to share and spread the word to their connections. 4) It gives proof of concept. Showing investors and convincing yourself that your venture has received sufficient market validation at an early stage is hard. However, crowdfunding makes this possible. The first question that any angel or institutional investor will ask will often be along the lines of proof of concept, and a good way to gain some respect and credibility is to be able to show them that your venture had a successful crowdfunding campaign. This shows trust and integrity towards a venture right off the bat and will allow verification throughout the journey that one is on the right track. 5) It allows crowdsourcing of brainstorming. One of the biggest challenges for small businesses and entrepreneurs is to be able to cover all the holes that a venture might have at an early stage. By having a crowdfunding campaign, the entrepreneur has the ability to engage the crowd and receive comments, feedback, and ideas. This feedback is extremely valuable, as it can help understand some aspects of their business that were previously un-thought of. It could also potentially inspire some other ideas! 6) It introduces prospective loyal customers. A crowdfunding campaign not only allows an entrepreneur to present a business and product, it gives them the ability to share the message and the purpose behind it. People who view the entrepreneur’s campaign and decide to contribute are ones that believe in the success of the company in the long run. In essence, these people are early adopters. Early adopters are very important to every business, as they will help spread the initial word without asking for anything in return. Such people care about the venture’s brand and message, and are likely to be loyal customers throughout the life of it. 7) It’s easier than traditional applications. Applying for a loan or pursuing other capital investments are two of the most painful processes that every entrepreneur has to go through, especially during the early stages of the company. Thankfully, the application process for crowdfunding is a walk in the park compared to these traditional methods. In order to get started on the crowdfunding path to funding and exposure, an entrepreneur only needs to contact the chosen crowdfunding platform that best suits their campaign theme and purpose, share their venture’s powerful message, make a video, and establish some attractive rewards. The momentum created by successful crowdfunding campaigns attracts potential investment from traditional channels and attention from media outlets. Success stories make for interesting reading, and reporters are always hungry for them. Crowdfunding is a unique and hot industry these days, and countless entrepreneurs who have been successful with it have seen larger success and exposure as a result. 9) It provides the opportunity of pre-selling. Launching a crowdfunding campaign gives an entrepreneur the ability to pre-sell a product or concept that they haven’t yet taken to market. This is a good way to gauge user reaction and analyze the market in order to decide whether to pursue or pivot on a given concept. On the Jumpstarter all-or-nothing crowdfunding platform (meaning that you only get the funds raised if you reach 100% or more of your funding goal) there are so many benefits, and no fee to participate. If an entrepreneur sets a goal and doesn’t reach it, there is no penalty. All the funds received from each contributor become credits for the Donor/s to contribute toward other chosen Jumpstarter Projects. On the other hand, if the fundraising project is successful, everyone wins and gets to be a part of a successful crowdfunding project. In essence, crowdfunding is an excellent way for entrepreneurs to receive the financing and exposure they need in order to verify, execute, and help their ventures grow. What started out as a social experiment several years ago has been validated as a viable tool for thousands of people. With the industry still evolving and becoming more efficient, there is no better time than now to take advantage of the associated benefits!